We're finally back in London after our German adventure, and gradually starting to digest the experience. This process is likely to carry on for a while though, not least because the German removals company we hired cocked up, arriving with too few packers/loaders and too small a lorry. So not everything has made the journey over yet - and part of what's missing is my beer collection, including all the interesting Franconian stuff I picked up last month. Sigh. Thankfully we had time on the way back to stop off in Ostend at one of our favourite supermarkets. This turned up some new-ish and rather nice Belgian beers, most of which are mud in the Einheitgebot's eye, which is always good in my view. Then, as I was beginning to chillax and recall that I had actually had lots of great beers in Germany, I found myself reading this report by bloggers Boak and Bailey of their visit to Stuttgart and it all flooded back... Despite past disappointments with German city brewpubs, they still seemed surprised to be in a German city where the beer was not that good or interesting. The sad thing is that the likes of Bamberg and Munich are the exceptions, not the norm. Yes, in most places the beer will be competently made, but the average is bland Pilsners and a distinct lack of imagination or anything resembling non-conformity. Sure, there's Berlin for some great brewpubs, and there's Alt and Kölsch - but try finding Alt in Cologne or Kölsch in Dusseldorf. It's possible, but not easy. 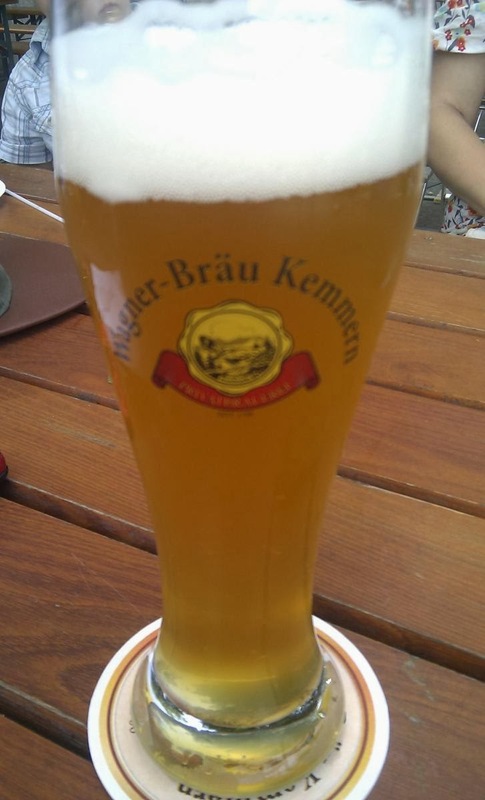 For the rest, when it comes to draught beer it's macro-brewed Pils or Weizen, often by a subsidiary of a multinational. When I think about it - which I try not to do too often, as it pains me too much - it drives me nuts that there's no proper equivalent of CAMRA to draw attention to this. Instead, there's the Einsheitsgebot-driven assumption that everything in the beergarden is still rosy and world-beating. Thankfully there are signs of change. Pretty much every state now has micros and brewpubs trying something different, such as recreating old brews and traditions or creating German twists on international craft-brew standards. They're few and far between, but they are there. 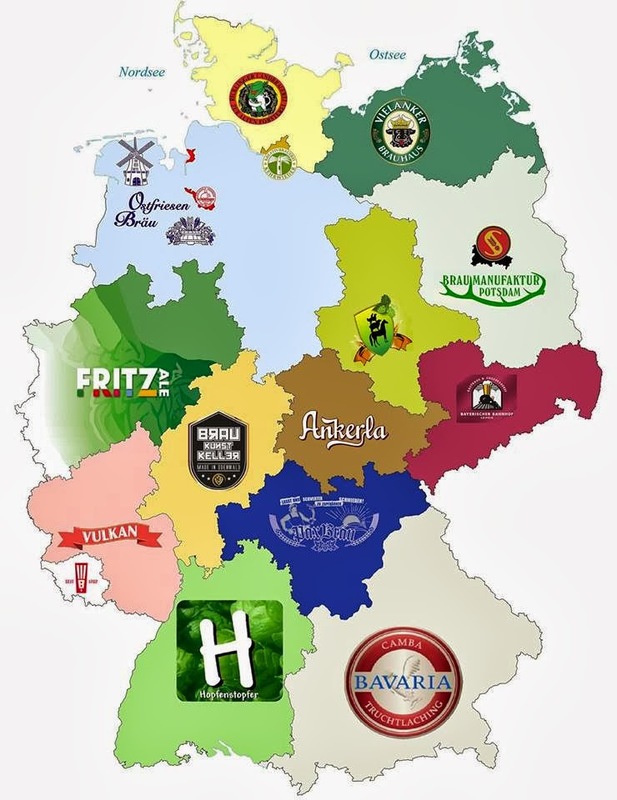 Hat-tip to Berlin's Hopfen & Malz for the map, which is one opinion as to the best or most interesting and innovative - not the largest or most popular - brewer in each state.